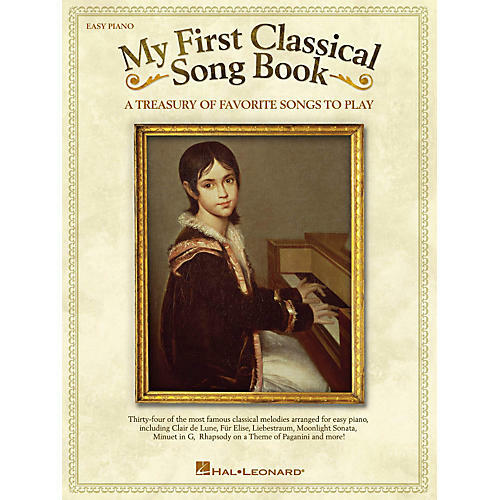 Stunning and elegant, this collection features easy piano arrangements of 34 of the most famous and well-loved classical melodies. Each piece is illustrated with full-color classic and contemporary art chosen to represent the musical themes. Titles: Ave Maria • Can Can • Canon in D • Clair de Lune • Eine Kleine Nachtmusik • Fr Elise • Habanera • La Donna Mobile • Liebestraum • Moonlight Sonata • Minuet in G • Rhapsody on a Theme of Paganini • Theme from Swan Lake • William Tell Overture • and more. Students will cherish this collection for years. Makes a great gift!